Neil Adams, Strategic Solutions Director, UK & Ireland, Sensus examines the future outlook for Ireland’s energy. The world as we know it is shifting. New technologies are unlocking new ways to generate energy. These advancements will help us to produce, distribute and consume energy in a more sustainable way. Until recently, these types of energy production were niche sectors on the fringes of the energy economy. This is changing – 7.8 per cent of Ireland’s energy came from renewable sources in 2013 1. That proportion will only increase, so the next stage in our energy revolution has to involve a radical rethink of how the whole system works. All of this is happening against the backdrop of Ireland working to meet key energy targets by 2020. EU states must reduce their national carbon footprints, with the aim to reduce greenhouse gas emissions by 20 per cent. They must also increase energy from renewables by 20 per cent. Effective technology will be essential for helping Ireland meet these goals. The country’s already on the right track, with planning the roll out of its smart meter network in progress. Done right, smart meters enable citizens to have a real impact on reducing national carbon emissions. Individuals can monitor their energy consumption, and subsequently reduce their usage. For consumers, this can mean cheaper bills and more control over their relationship with energy. For these individual benefits to have national significance, a large proportion of homes must be connected to the grid and consistently provide accurate readings. Ireland has the potential to develop a full smart energy network operating across the country, but selecting the right technology will be crucial for this significant national infrastructure project. This isn’t just blue sky thinking. Small scale projects show Irish businesses can unlock real benefits by adjusting their own attitudes towards energy usage. In 2012, Bewley’s sought to progressively reduce energy consumption at its tea and coffee manufacturing facility in Dublin. It paired energy management software with transparent reporting. This achieved 710k kWh of annual energy savings and €22,800 of annual cost savings 2. 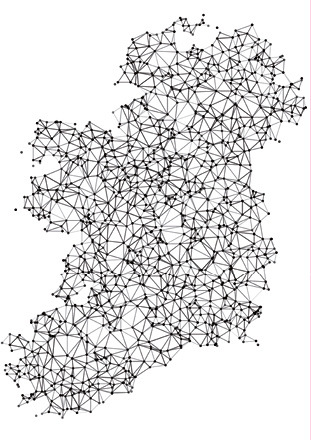 To merge these parallel energy strands, the system chosen to power Ireland’s smart meter roll out must be scalable and able to integrate these new sources of renewable energy. With smart metering, solar power, offshore wind and greater interconnection, Ireland can develop a clean, competitive, efficient and secure electricity system. The coming years will show whether Ireland can overhaul its current relationship with energy. This will hopefully also lay the foundations for how energy can be generated for years into the future. The Department of Communications, Climate Action and Environment are trying to facilitate this move towards renewable sources of energy. In September, it published a call for input into its “Renewable Electricity Support Scheme (Ress) – Design Consultation”. This asks what a scheme that provides financial support to renewable electricity projects would look like3. Smart cities and networks offer a vision of a new energy landscape that wastes less, produces more and benefits everyone. In the past, power was produced at one end and used at the other. This one-way traffic is becoming a thing of the past as people increasingly generate energy in their homes and communities through microgeneration technologies such as solar panels4. Smart meters are required to monitor multi-source energy usage. In the same way that Toyota Prius drivers are informed whether they’re drawing power from the car’s battery or engine5, these meters help users make smarter choices about how and when they consume power. In the future, with solar technology prices likely to fall and electric vehicle usage likely to rise, the smart energy market will extend into a whole new economy of person-to-person energy storage and sale. Consumers will be able to invest in their preferred choice of energy and sell surplus energy directly back to the grid or to their neighbours according to their usage and needs. This can only help drive further efficiencies in the energy market and savings for consumers. Once micro-generation picks up on a local level, consumers will have more options and even potential sources of income around their energy usage. Local economies of energy will facilitate a reduction in energy wastage. This should help to encourage the use of renewable energy and aid towards balancing national energy requirements. Without a reliable communications network delivering near real-time accurate data it would be impossible to manage such a complex balance of energy infrastructure. Long range radio (LLR) technology is a proven solution which already connects 37 million end points around the world. Unlike other cellular and communications technologies, LLR uses a dedicated, licensed spectrum. This effectively provides a utility-grade service which is both more reliable and more secure than other systems. This type of network is designed for 100 per cent coverage from a single platform without the limits associated with congested cellular networks – a problem which will only grow as more devices connected to the Internet and compete for bandwidth. LLR gives countries and communities across the world the perfect platform to develop a utilities network that will be fit for purpose now and well into the future. 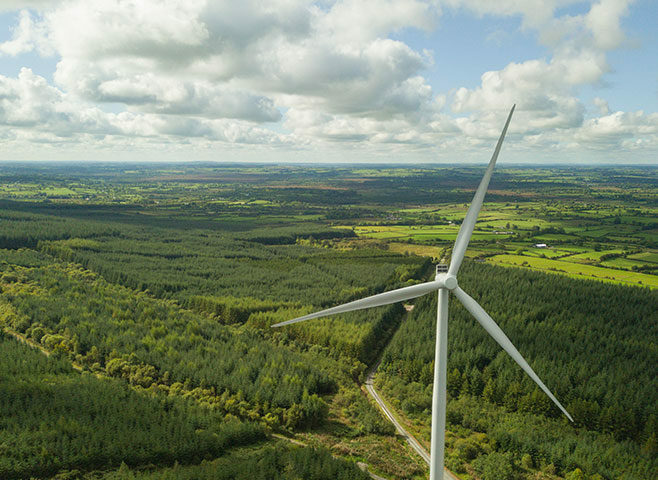 The shift to renewable sources of energy might sound ambitious, but Ireland can draw inspiration from other European countries that have successfully made the switch. In 1970, oil accounted for more than 75 per cent of Swedish energy supplies. That figure has dramatically reduced to around 20 per cent today. This is chiefly due to the declining use of oil for residential heating and an increase in renewables6. This result was achieved through a combination of conserving energy, developing energy-efficient households, and through encouraging companies to invest in green energy. The next few years will lay the foundations for Ireland’s smarter energy future. It is essential that the smart meter roll out utilises technologies that will enable Ireland to integrate the wider shift towards renewable sources of energy and smart city programmes. A solution that is not future-proof could have one of two results. This significant infrastructure project might need to be repeated within a short space of time. Or worse – additional infill technologies might be needed to add short-term fixes to enable both renewable sources of energy and multiple smart city devices to connect to the grid. Both potentially limit Ireland’s ability to reduce its national carbon footprint and have a real impact on the global effort to combat climate change. Long Range Radio technology is the only solution fit for the energy goals of today and tomorrow. Sensus helps water utilities, energy providers and cities do more with their infrastructure to improve the quality of life in their communities. We enable our customers to reach further through the application of technology and data-driven insights that deliver efficiency and responsiveness. We partner with them to anticipate and respond to evolving business needs with innovation in communications technologies, advanced metrology, data analytics and services. Learn more at www.sensus.com and follow @SensusGlobal on Facebook, LinkedIn and Twitter.